Icelands entry Is It True? by Yohanna (Jóhanna Guðrún Jónsdóttir) won the first semi and ended 2nd in the final. It equals Icelands best result from 1999 when Selma ended 2nd with All Out Of Luck. At 18 Jóhanna is a relative newcomer to the Icelandic music scene but in true Icelandic tradition she has recorded some songs for childrens cds as a young teen. Yohanna also has a MySpace with tracks from her debut album. Listen to Is It True? and all other Icelandic contenders at the RÚV Söngvakeppni page. You can also listen to the original demo version by Tinatin here at reverbnation and read all about it at Tinatins MySpace blog. There was a little discrepancy with the songwriting credits, but in the end it was all a storm in a glass of Vodka and all has been solved amicably. BTR Radio follows the Moscow adventures of co-composer Tinatin (see below) and the Icelandic delegation. Tinatin is a DJ at the station and there will be daily reports and pictures at the BTR site. Also check out Tinatin's Russkiy In The Mix radio shows with the latest in Russian Dance & Pop. Also check out the Iceland blog at the Eurovision family. The promo kit for Moscow features a 1-track promo cd (pic below) and a dvd. These versions only have the second verse in the 'foreign' language, the rest of the song, including refrains, is in English. So these are different versions from the foreign language versions that are on the Yohanna YouTube channel. I don't think the full foreign language version have been released anywhere else. 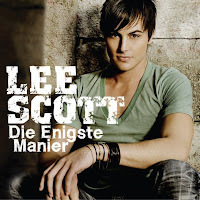 The digital release is at Tónlist, the album is issued by Hands Up Music. Is It True? (live) - short live version on CD Latabæjarhátíð í Höllinni. This is a concert of the Icelandic version of kids TV show Lazytown at which Johanna guests. 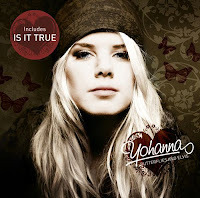 new: Butterflies and Elvis, Yohanna's 2008 album is released in Sweden and Norway on July 15, now including Is It True? as the first track. The CD is available at BeaRecords. or digitally at Tónlist. Meanwhile: Tinatins Thinking of Someone Else 4-track EP is available for download on iTunes, Amazon, Rhapsody, Napster and other major international digital outlets throughout the US, UK and Europe, Australia, New Zealand and Japan. South African singer Lee Scott recorded Is It True in Afrikaans as Wens Ek Kon on his CD Die Enigste Manier (EMI South Africa). The album also features coverversions of Fairytale (Norway) and What If We (Malta). Yes, the full foreign language versions have been released, I got them indeed.